To planetary scientists, the Martian atmosphere presents an intriguing mystery: today it’s a thin, cold wisp of carbon dioxide with just one percent the pressure of Earth’s atmosphere, but long ago it was thick and warm enough to support lakes and rivers on the Martian surface. How did Mars lose so much of its early atmosphere? Scientists think that the solar wind may be responsible, and the MAVEN spacecraft is designed to find out. 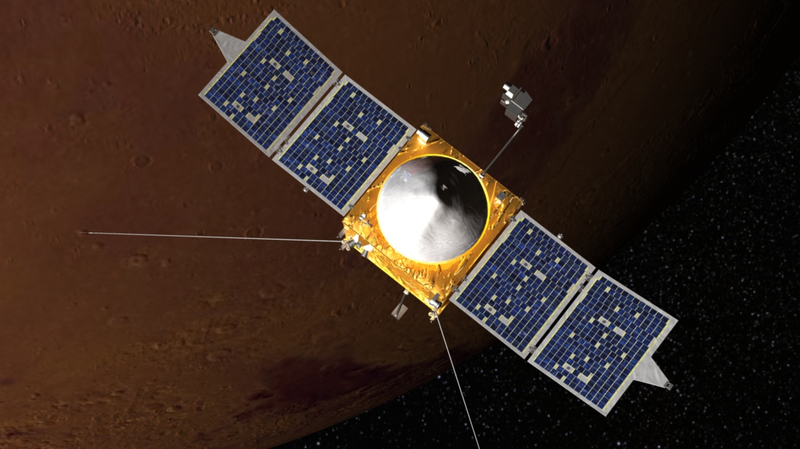 The instruments of MAVEN’s Particles & Fields package will study the interaction of the solar wind with Mars’s upper atmosphere, helping scientists to better understand hoMars became the freeze-dried planet that we see today. In this video, produced by NASA Goddard, Robert Lin, the late director of the UC Berkeley Space Sciences Laboratory, discusses how MAVEN will study the interaction of the Martian atmosphere with the solar wind.